Huronia Chapter - Ontario Archaeological Society: How narrow were the Narrows? 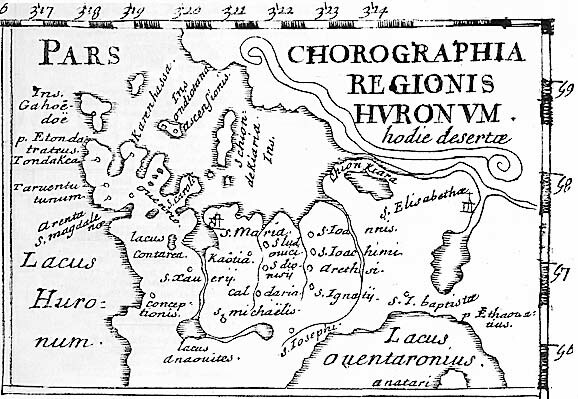 On another read through A F Hunter's "Notes on Huron villages of Oro township" he mentions the water level of Lake Simcoe as being 700' above sea level and that got me wondering what they were in the 1600s. First I decided to check the current water level and was surprised to learn that it averages about 720' above sea level today. The water levels rose as a result of the development of the Trent Severn waterway and the insulation of the locks and dams that control its flow. Each year there is a delicate balance sought between maintaining sufficient water levels for safe boating while at the same time controlling flooding of the surrounding lowlands. There are some local stories that say that the Narrows was shallow enough to be walked across and with a drop of 20 feet this is quite believable in parts of the Narrows. As part of the development of safe boating routes a channel was dredged on the Orillia side of the the Narrows thus creating a boating channel on the west and leaving the shallow ancient fishing channel on the east with a reed covered marshy island in the middle north of the railway and highway bridge that now crosses between Orillia and Atherley. Another question that then arises is how far below the surface were the stakes that formed the fishing weirs that we hear described by Champlain. How far underwater are they now? The Narrows was quite a different place at the time of Champlain and Brule, narrower, shallower and far bussier than we see them today.